Femi Otedola who is one of the richest men in Nigeria and Africa, has obviously shown his humble side after he was spotted in a commercial bus in the city of Lagos. 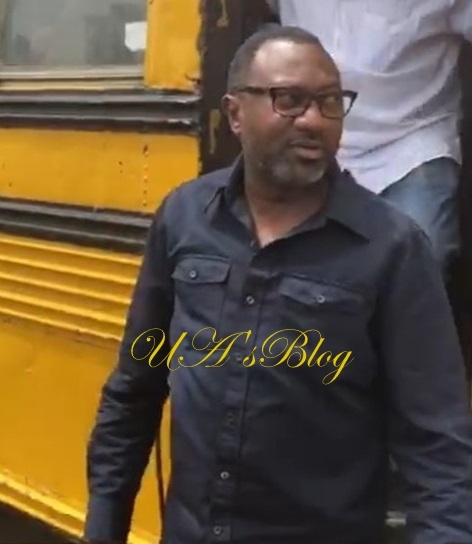 Billionaire businessman, entrepreneur and chairman of Forte Oil PLC, Femi Otedola, has taken to his verified Instagram page to share a video clip of him commuting like a common man in the streets of Lagos. According to the oil magnate and father to celebrity disck jockey, DJ Cuppy, he boarded the commercial bus popularly known as Molue, from Sango to Agege in the commercial city of Lagos. In the video, it was apparent that most of the passengers where totally ignorant of who he is, as they paid him little or no attention. Otedola captioned the clip: "Recently took a ride on the Molue from Sango to Agege"